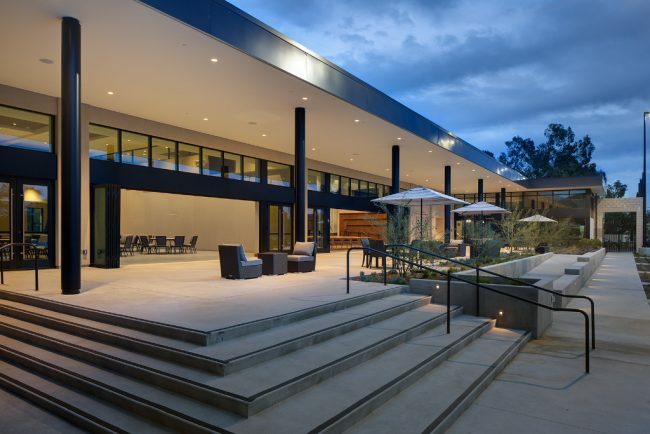 We are Creative: We listen to you and design a building/space to meet your needs and desires. We excel on difficult sites and difficult approvals with local and national award winning designs that add value to your property. 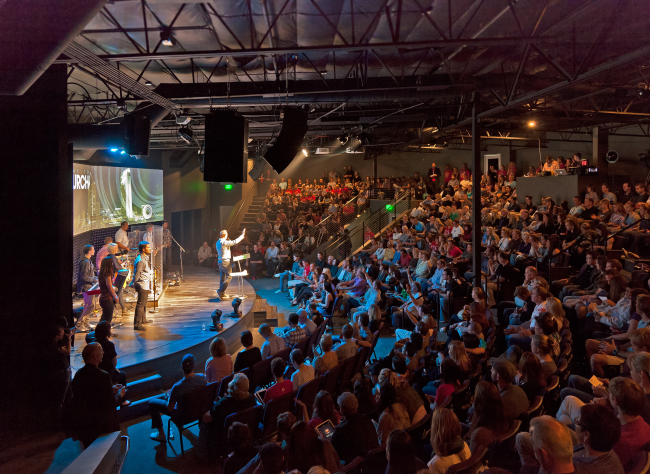 By design, they are a tool that encourages interaction and strengthens your mission. 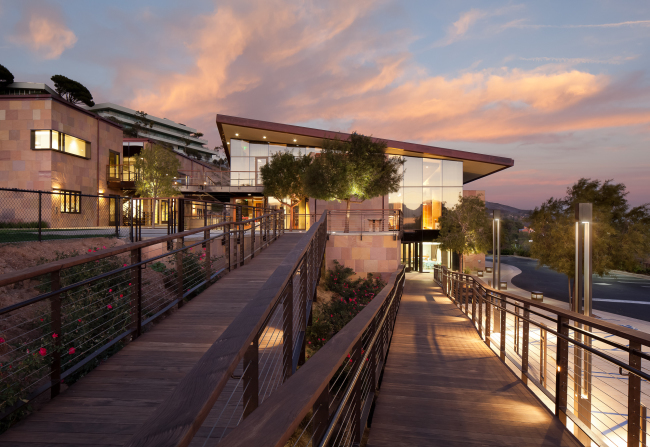 Our architecture is Sustainable: We have garnered awards based on our sustainable designs which include LEED Silver, Gold and Platinum certified projects constructed with local materials and filled with natural light. We are helping to design a sustainable future – now. 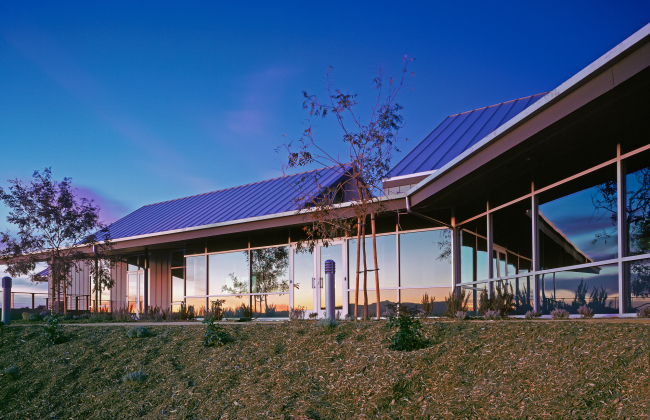 domusststudio is a member of the U.S. Green Building Council. 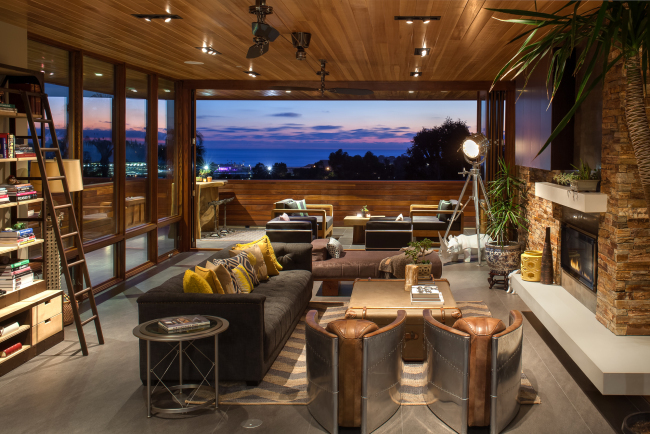 Our architecture is Enriching: Spaces that feel good to live in and add to the quality of life with indoor & outdoor visual and physical connections and spaces filled with natural light and ocean breezes. domusstudio’s biophilic design approach is an innovative way of designing spaces that connect people with nature. 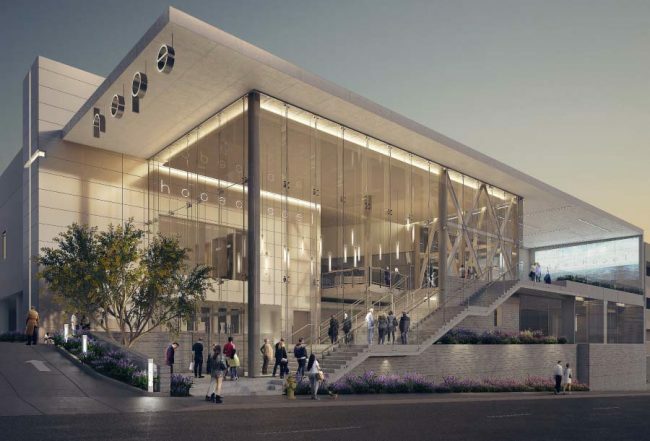 Most importantly, we are a Collaborative architectural design studio, working together with you and pooling our talent to solve your architectural design challenge. 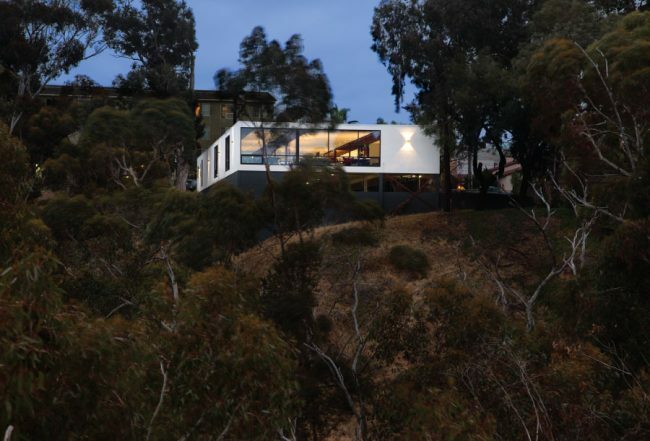 domusstudio architecture was founded in 1986 as Dominy + Associates Architects. 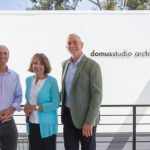 domusstudio is located at 2800 Third Avenue in the Bankers Hill neighborhood of San Diego, just north of downtown and three blocks west of Balboa Park on the edge of Maple Canyon. 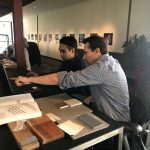 Our studio is an open collaborative work space which by design, encourages interaction in helping to produce the best architecture possible for you. 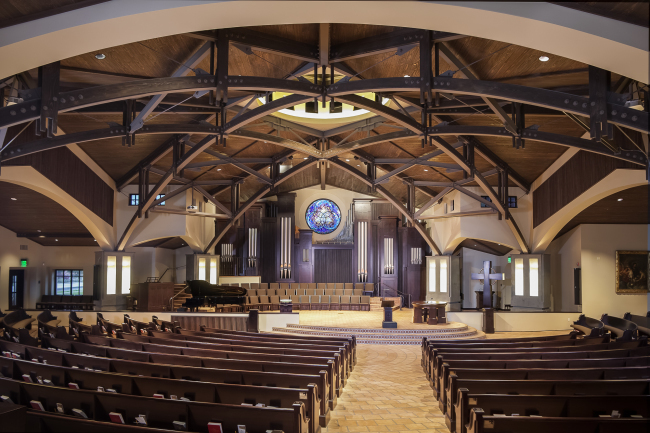 We transformed this traditional Sanctuary to a Contemporary worship venue by infilling the sloped floor, turning the seating 90 degrees and created a new cross arm focal point welcoming all. 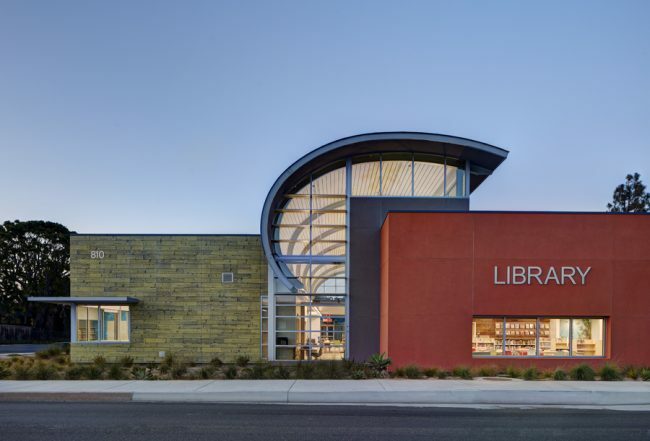 The wave concept of the Imperial Beach Library ties it regionally to the beach community it serves. The Child Development Center (CDC) at the USMC base in Twentynine Palms aspires to demonstrate that design of the built environment can provide rich learning opportunities for young children. 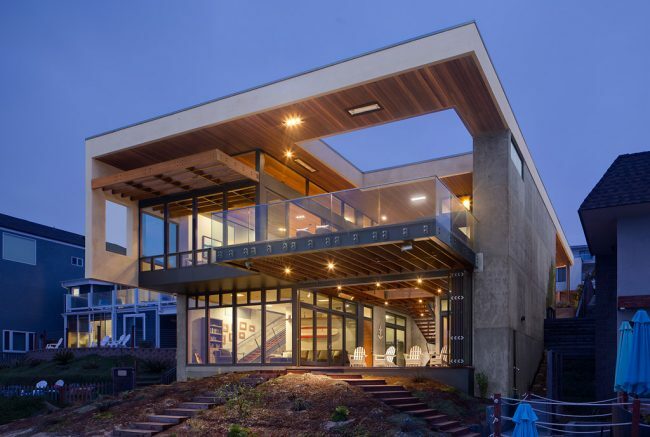 A transparent beach house designed for wellness! An indoor/outdoor transparent Sanctuary which removes the physical barriers to those who come to worship. 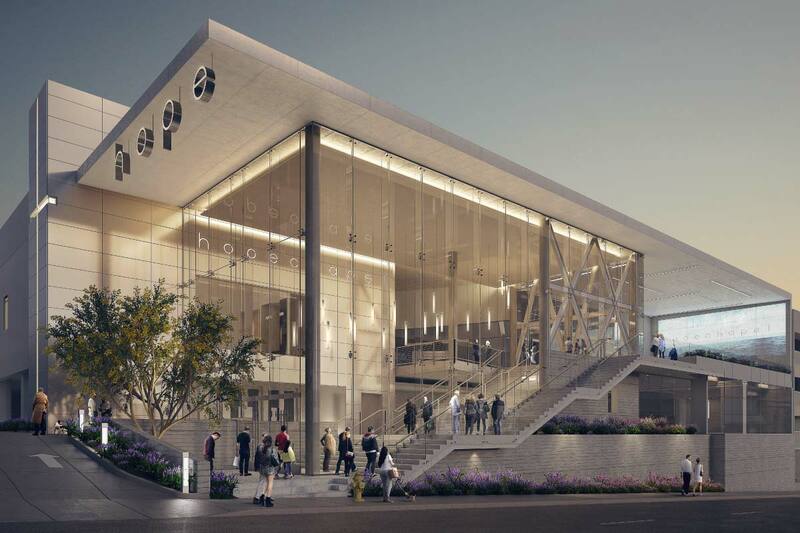 An updated amphitheater, improved outdoor campus core, and new facilities take advantage of UUFSD's natural setting to create spaces that will encourage the growth and life of the congregation for years to come. The Treehouse Truss is a home among the trees, cantilevering over a gorge to enjoy mountain views. 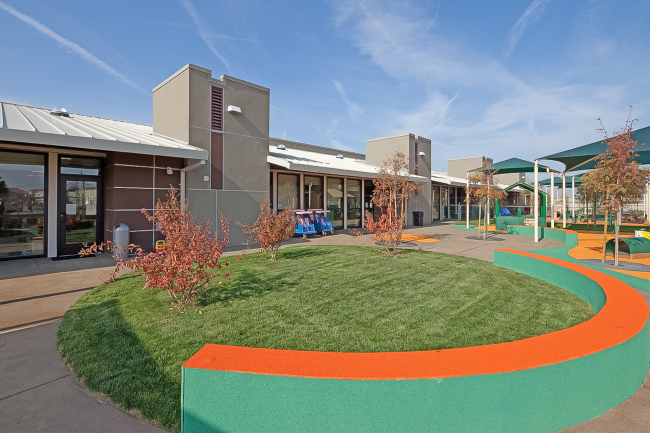 A Master Plan was developed for the entire existing church and school campus that links the separated facilities and creates usable, pedestrian oriented gathering spaces. 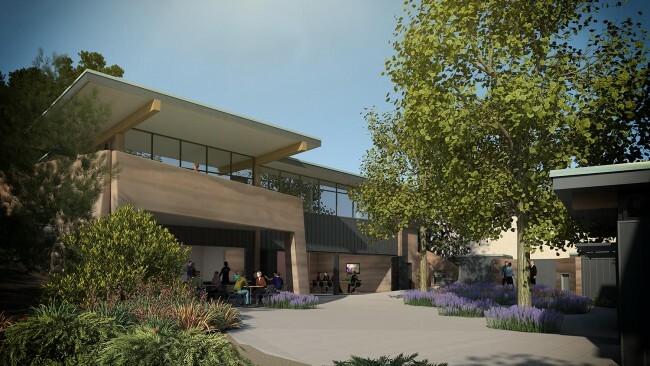 This multi-phase project consists of a new underground parking structure, dining hall, athletic center and athletic fields which will complete the Master Plan for this private high school in San Diego. 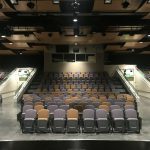 A contemporary theater style venue that is acoustically equivalent to a black box type facility with amazing views to the Pacific Ocean. 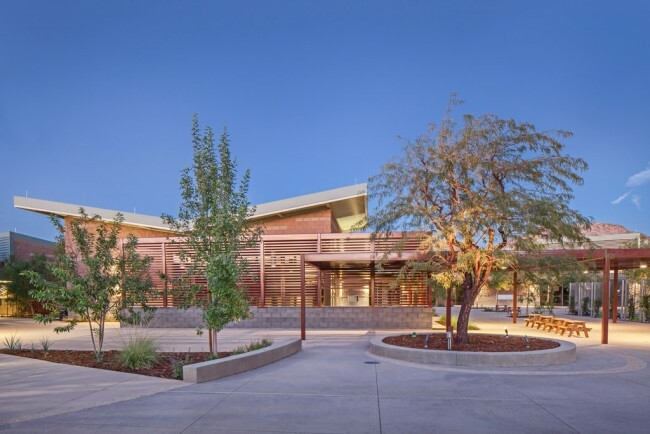 The design is an example of biophilic design where the lines are blurred from the interior to the exterior spaces, satisfying the innate desire of humans to connect to their natural environment. 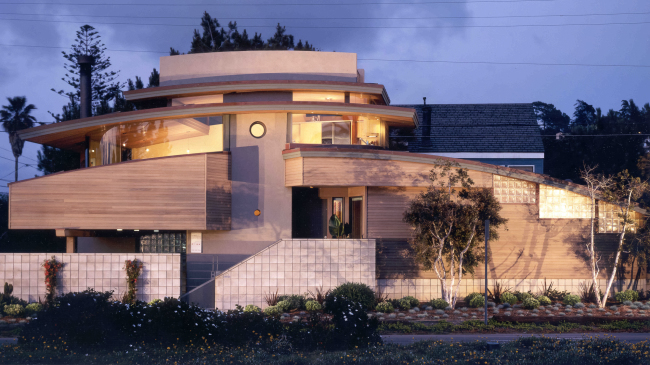 A home remodeled with the recycling and greening of the original house's structure, materials, and many of the components. Featured on dwell.com. 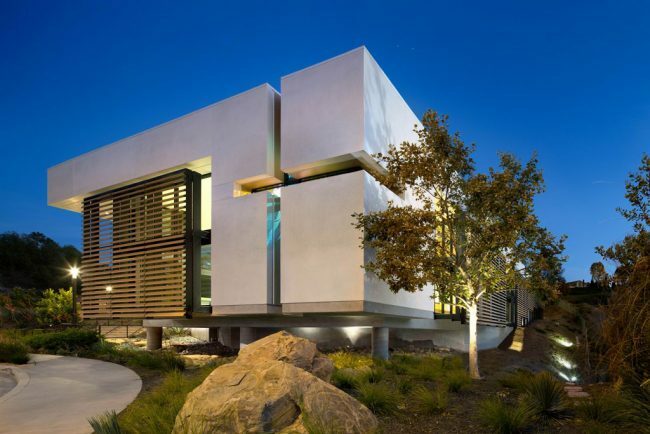 An award winning home built with the architecture goal of openness, privacy and sustainability. An open home, filled with light and a open floor plan suitable for family living that captures the available views from all the rooms. 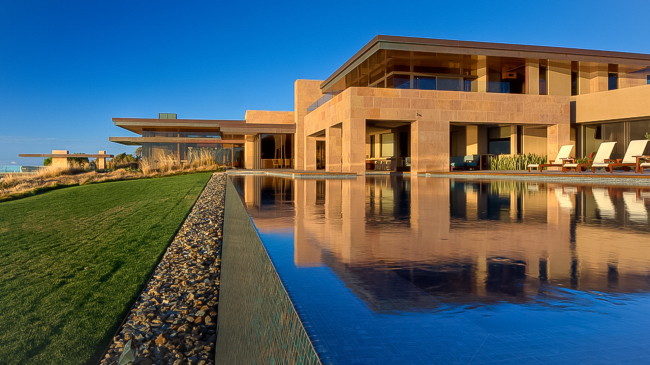 The south and west walls of the new design expands the view from almost every room in the house. The renovated church buildings now enter from the central gathering terrace and fountain surrounded by the all new landscape concept incorporating the existing specimen trees and vegetation. 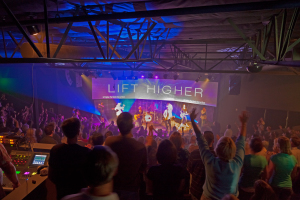 A traditional church remastered to an all new contemporary Worship Arts Space, suitable for media, theater, and the arts. 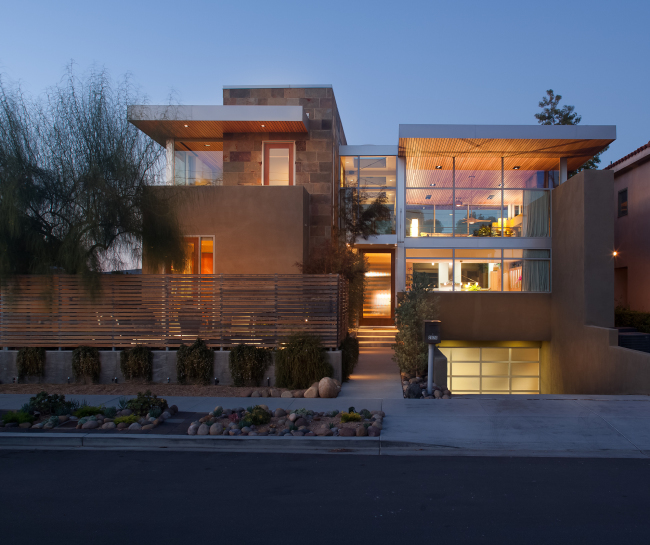 Situated in a long established neighborhood, this all new home on a very small lot faced the challenge of “fitting in” and still providing the owners with the contemporary home on a budget that they desired. 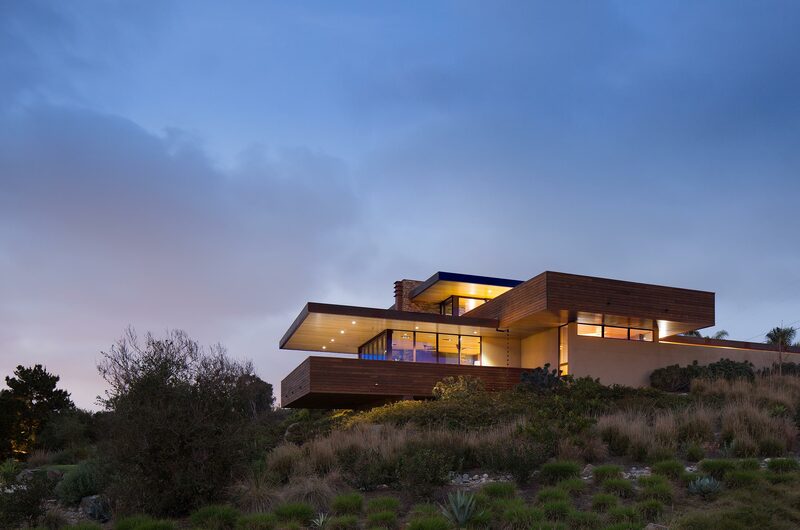 A residential architecture design of a La Jolla, CA canyon home framing the house to preserve its Torrey Pines surroundings, connecting it to nature and providing a foreground frame to the scenic canyon vista. 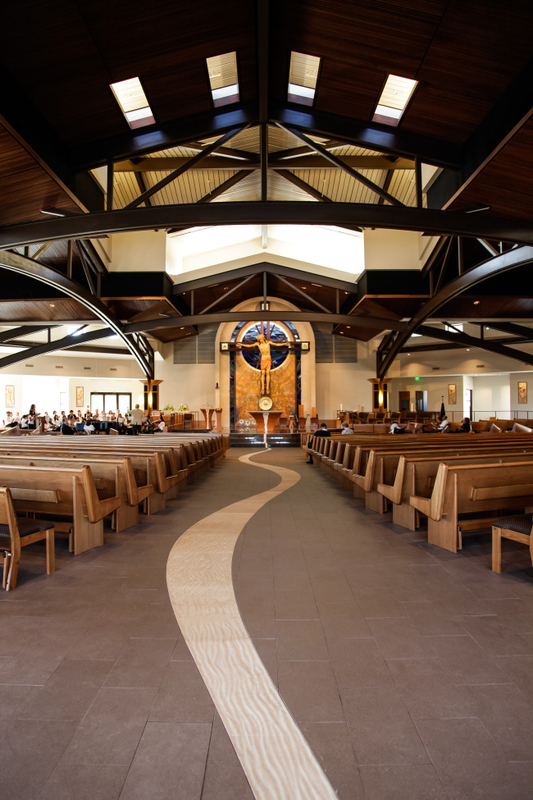 A Spanish Colonial style worship space with a very quiet and residentially scaled exterior in that style and an interior designed to create some of the most surprising, dramatic and unexpected spaces inside. 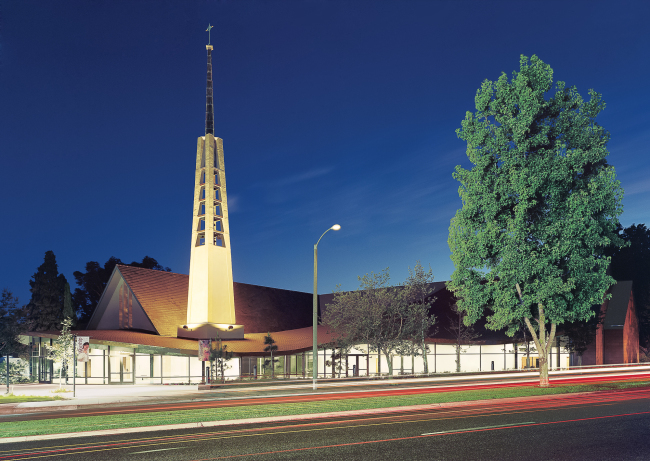 A contemporary Southern California vernacular creating a unique architecture, symbolizing both the church’s heritage and location in the coastal foothills of San Diego. 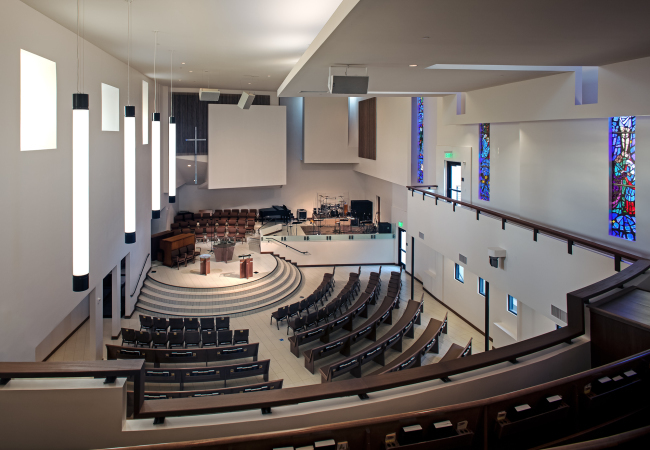 The Sanctuary design allowed natural light to enter the space without seeing the source, ethereally, bouncing off walls and ceilings. 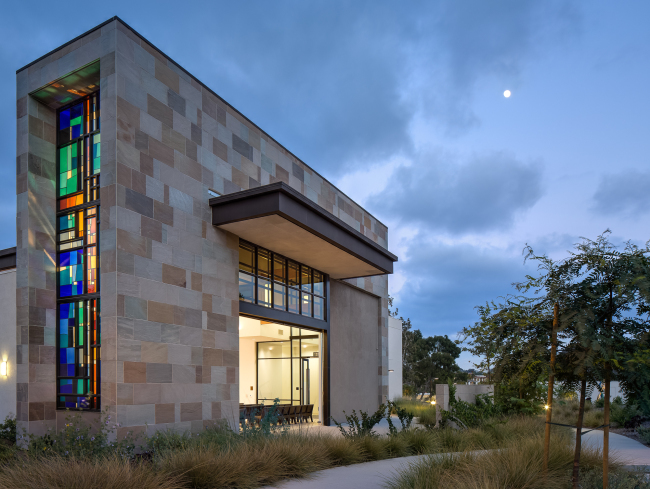 The white palette allows the stained glass color to reflect onto the surfaces - ever changing with the sun. 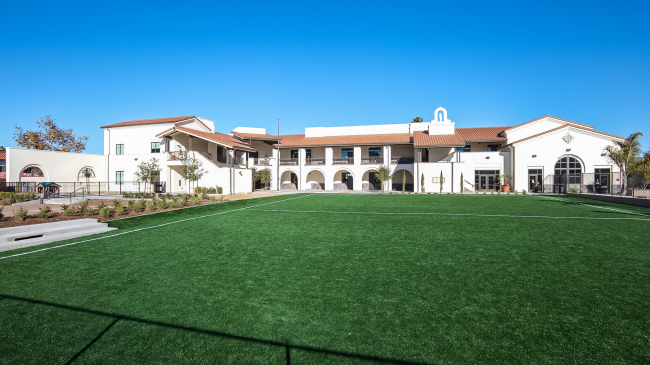 This 23,474 square foot K-8, two story parochial School represents the first of a three phased Master Planned redevelopment of this established Catholic Church community. 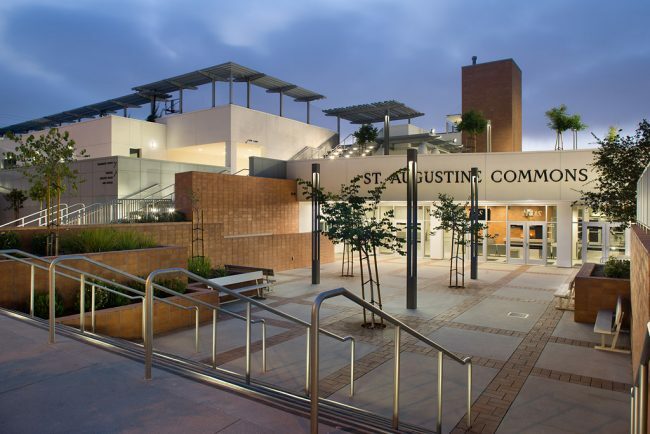 St. Augustine High School Gymnasium is a 1,500 seat facility woven into the fabric of San Diego’s North Park neighborhood. 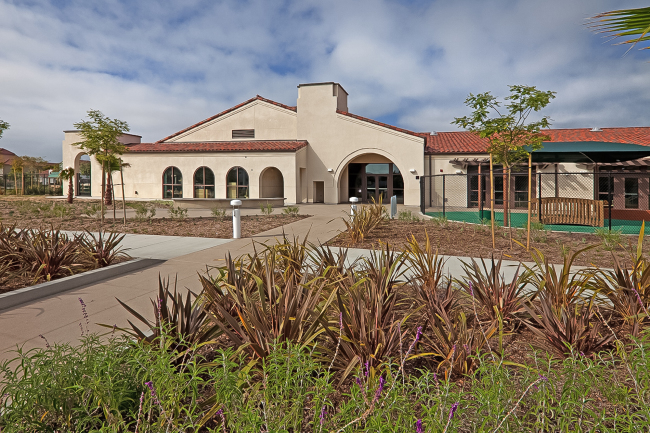 The Naval Air Station Child Development Center was awarded LEED Gold by the USGBC, incorporating photovoltaic panels, a highly insulated building envelope, high performance mechanical system, a natural day lighting system and sustainable materials with low VOC's. 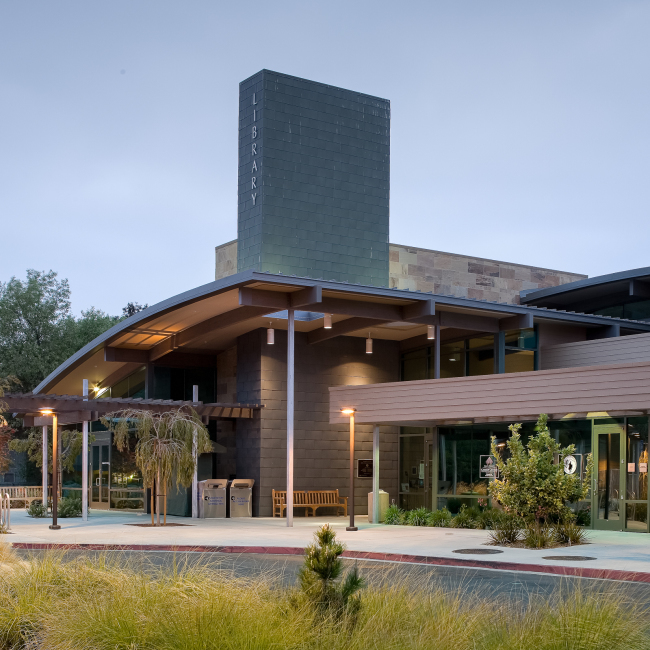 Valley Center Library evokes a cluster of agricultural buildings built around the existing exposed rock formation and utilizes contemporary materials, open volumes and detailing reveal a very modern presence. The Tube's open-air structure allows for free flow of air and still provides the necessary safety for users, completely removed from the vehicles. 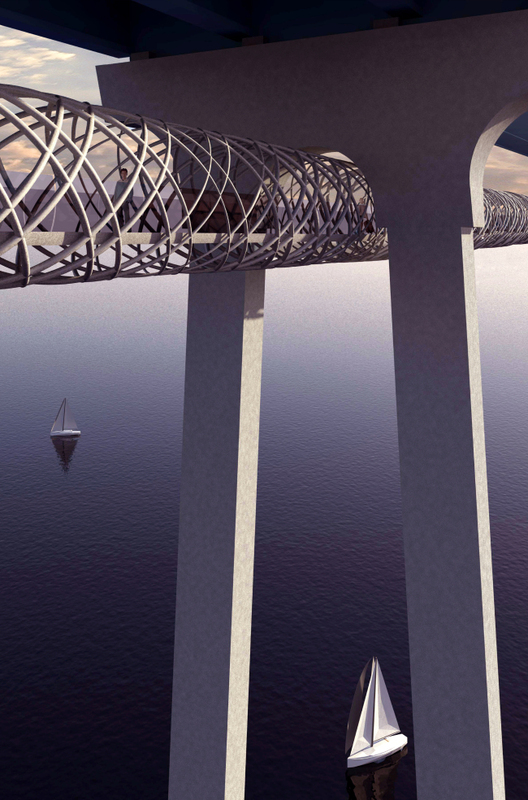 The tube respects and enhances the aesthetics of the Coronado Bay bridge, leaving the existing forms intact and connects to parks at each end. 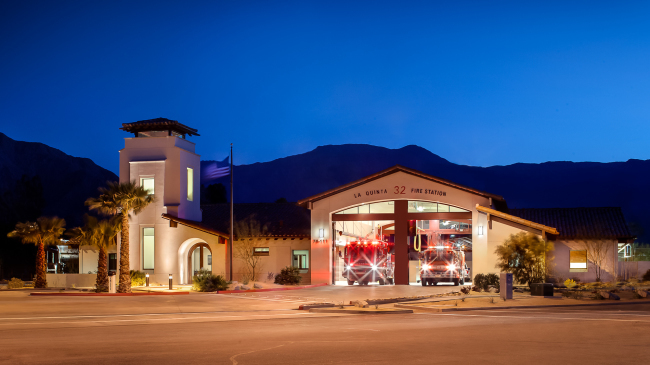 La Quinta Fire Station #32 was built to replace the existing obsolete firehouse and improve response times to the City of La Quinta. 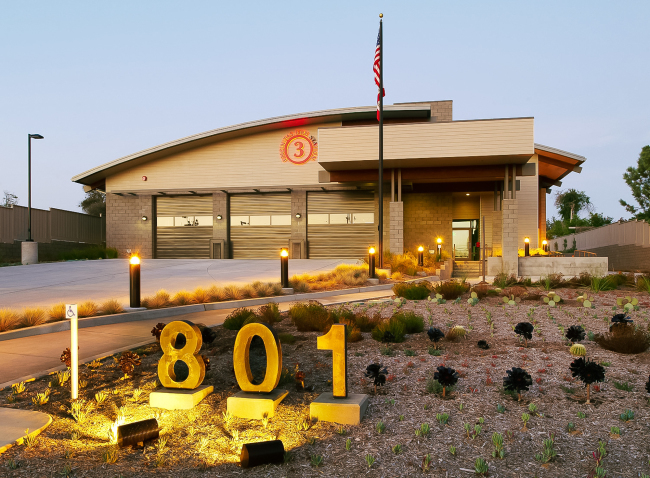 Encinitas Fire Station No. 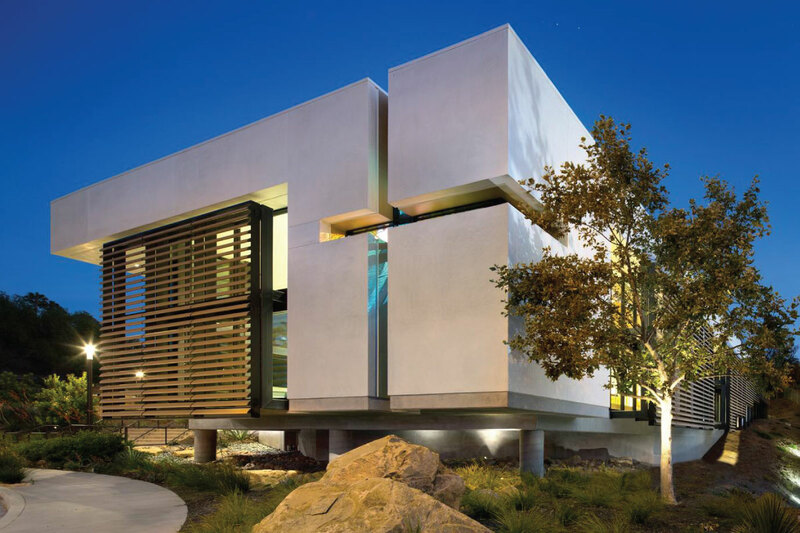 3 was designed to be a little “edgy” and embrace the eclectic and often unusual design parameters of the Leucadia area. 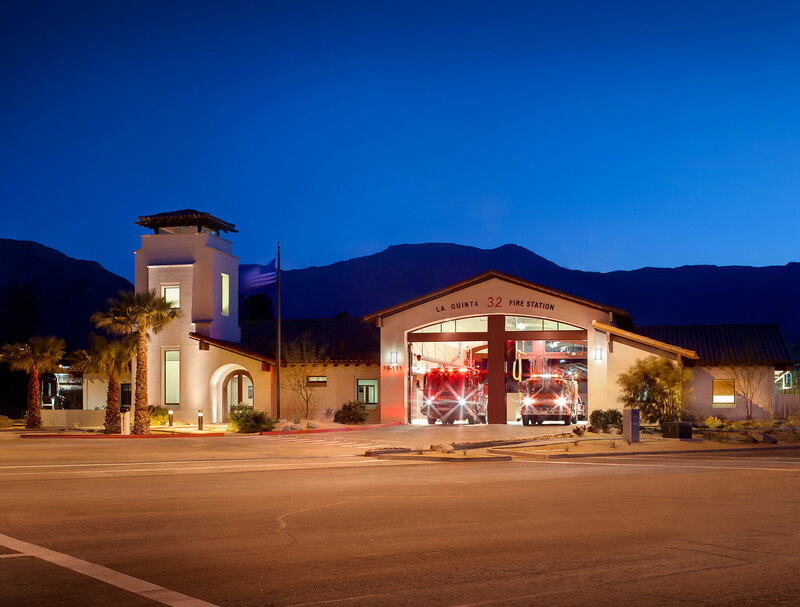 A public fire station architecture project built with sustainable design elements that evoke and memorialize Encinitas’ past greenhouses. 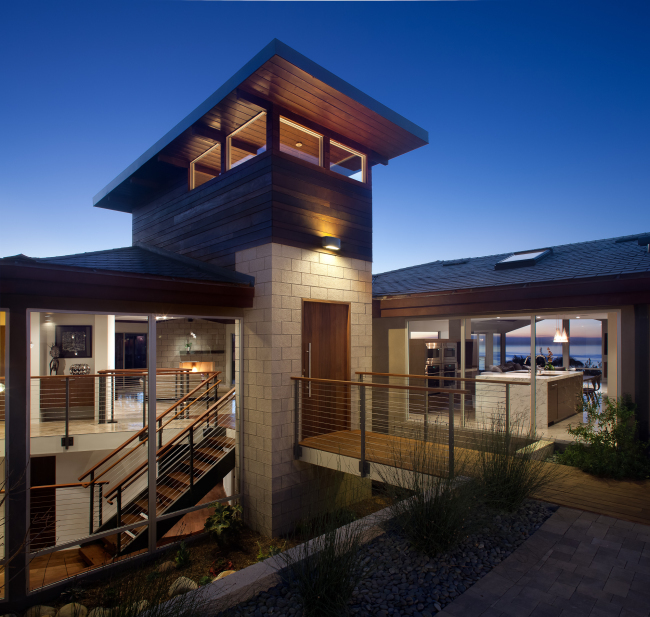 The Triangle House has received several design awards, been published numerous times locally and nationally, and been featured on several national television programs, including “Extreme Homes". 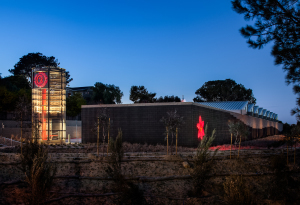 design-build project dedicated to honor Chief Petty Officer Patrick L. Wade, a Navy explosives technician who gave his life while serving in Iraq. 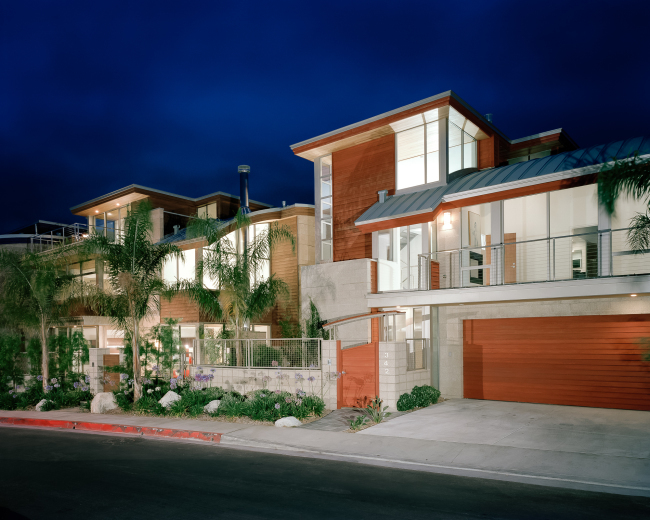 An eight-unit town home development in the Windansea community of La Jolla, California. 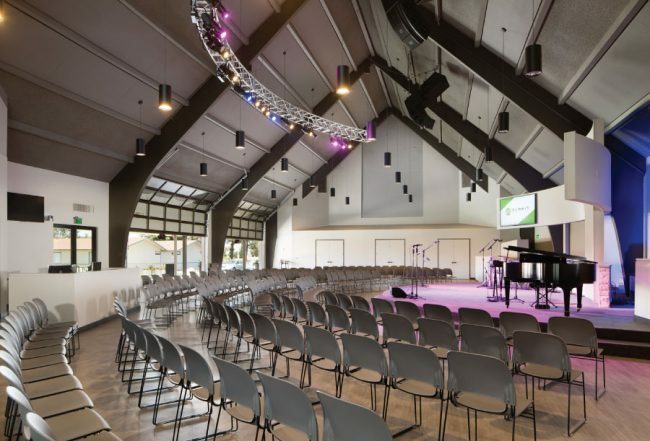 A unique and intimate worship environment designed for a North County church. 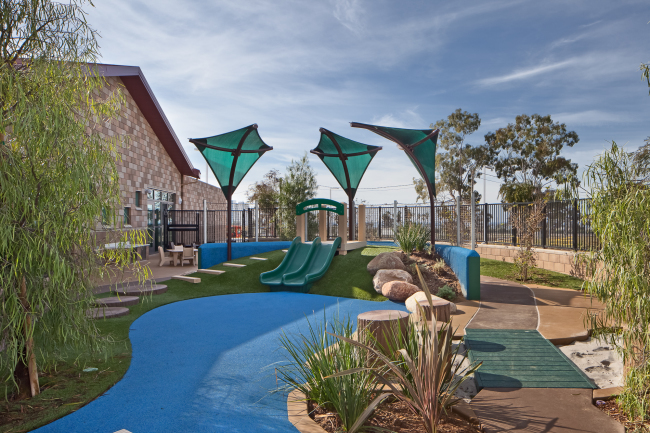 A sustainable design for U.S. Marine Corps Base's child development center. 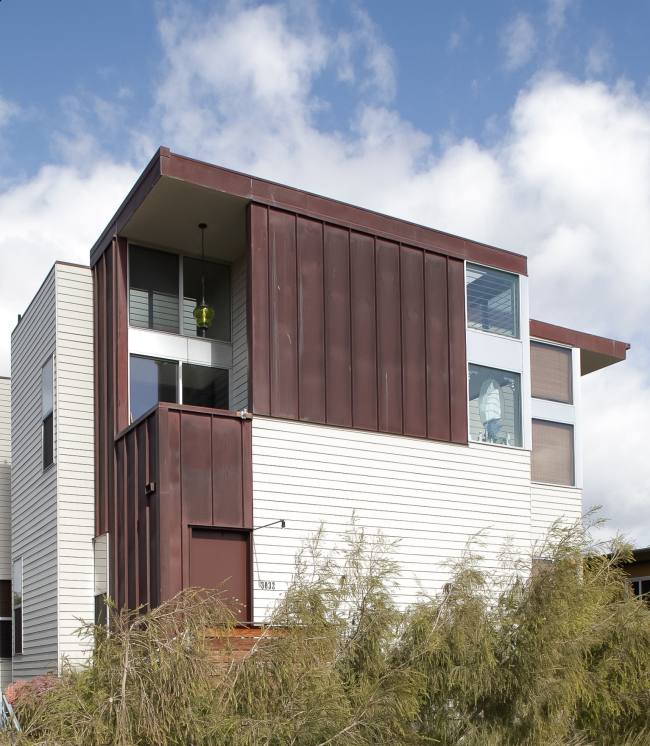 A four unit infill project in an older neighborhood near the San Diego harbor is an excellent example of how a remarkable amount of living space can be created on a small lot with privacy and spaciousness for each unit. 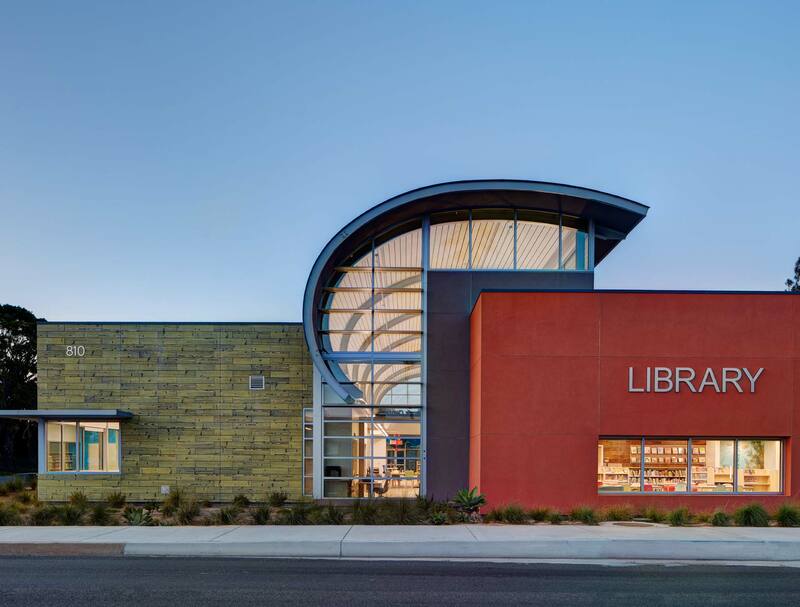 An energy efficient design for a new public library in southern San Diego County. At domusstudio we appreciate that every project is unique and look forward to providing you with a tailored solution you’ll be proud of. 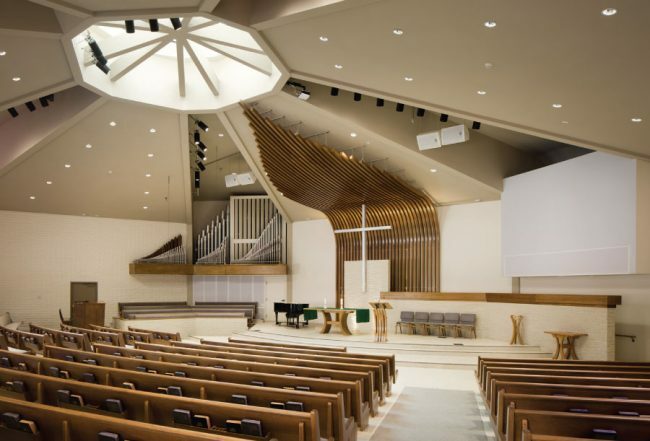 To get started on your project or to request more information, please contact us today.